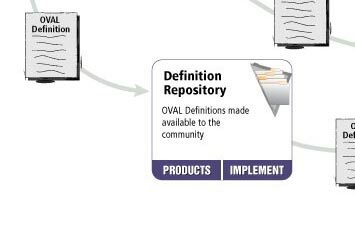 The OVAL Adoption Program was established to educate vendors on best practices regarding the use and implementation OVAL, to provide vendors with an opportunity to make formal self-assertions about how their products utilize OVAL, and to help MITRE gain deeper insights into how OVAL is or could be utilized so that the standard can continue to evolve as needed by the community. 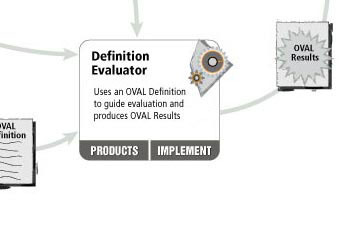 The relationships between the different capabilities in the OVAL Adoption Program are illustrated below. 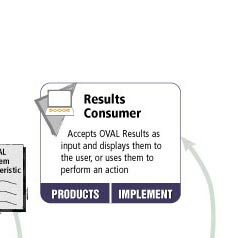 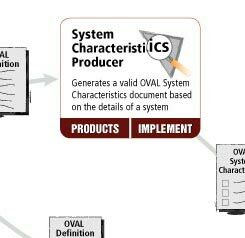 Click on "Products" to see a list of products that have adopted OVAL for that capability, or "Implement" to view the requirements that must be met to adopt OVAL for that capability. 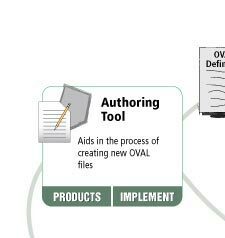 See the OVAL Adoption Program Process to review the four phases of the adoption program and to Make a Declaration.